Beaux Savons Frais was a vendor I never had heard about until recently when I watched couple of youtube videos. I was right away intrigued with their cute halloween sampler which looked unlike any other sampler I have seen. Instead of getting say 10 scents in smaller sizes you are getting 3 bags of melts, each in a generous size (5 oz each) good for several melts. And packaging looked so cute I had to get the set! Since I am usually a buy-more-kinda-gal I also ordered a 10-pack of clamshells and their fall scent sampler consisting of 10 scent shots. I had a 20% off coupon code (it should still be valid: VINTAGECHIC1927BSF20) so I also saved quite a bit. I waited only about a week-10 days to receive my items so the vendor (her name is Lacey) was really quick. 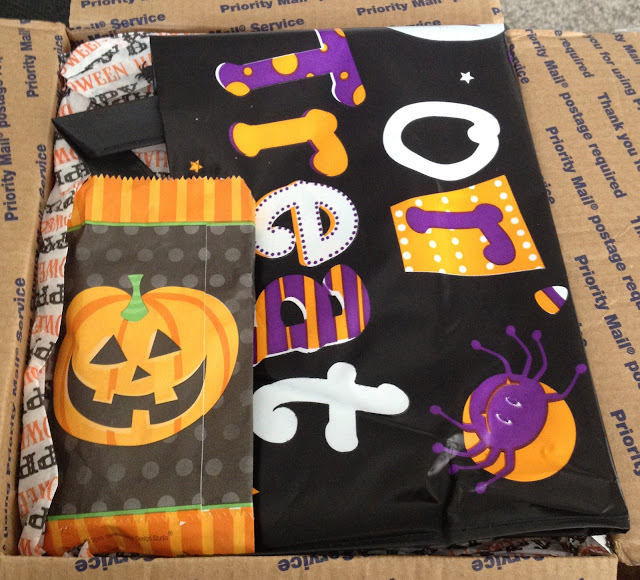 She´s really friendly and accommodating and her packaging was just super cute (all in a halloween theme!). I melted couple of her tarts so far and they smelled great and had a good throw. The clamshells smell pretty light though so far so will let them cure and see how they´ll melt. Overall the first impression is really good and I am looking forward to melting the tarts (except for 2 from the fall sampler that are just way too spicy for my liking).